Many thanks to all for your continued interest in and support of Enefit�s Utah Project over the past year! Planning for and developing a complex, long-lead project requires patience, commitment and persistence, and we�re grateful for the encouragement and assistance we�ve received during the past several years. As a �long-lead� development, progress on Enefit�s Utah Project has come slowly and deliberately, but always in a forward direction. Given that, we�re pleased to hear that a major milestone is in sight: The Final Environmental Impact Statement on our proposed utility corridor across a sliver of federal land is expected to be published by the end of the year. This is the final step in what has been a ponderous five-year process (yes, five years!). The Utah BLM office sent the document to Washington, D.C., in October, and it�s in the process of being shuttled between more than 30 different agencies and offices on its way to approval and publication. While we�ve gotten our hopes up before, we�re assured the end is really in sight this time! 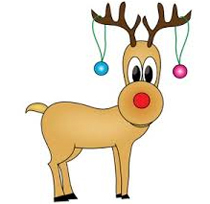 Here�s hoping for an early Christmas present! Speaking of the EIS�s final route through our nation�s capital, we recently had the opportunity to meet the Department of Interior�s acting assistant secretary for land and minerals management and discuss the EIS and, more broadly, energy development on BLM land. Kate MacGregor was recently hosted by the Grand Junction Petroleum and Mining Club to give a talk on the Department of Interior�s role in expanding energy development. She emphasized that the Trump Administration is very serious about streamlining permitting and reducing regulatory burdens. A detailed technical look at ozone conditions by the Utah Division of Air Quality (UDAQ) raises questions about the need for EPA�s planned action to extend the nonattainment boundary. The state�s scientific analysis found a strong tie between elevation and increased ozone conditions, specifically at the 6,000-foot elevation contour. However, the state�s final recommendation to EPA was that any township having at least 10 percent of its area below 6,000 feet be included in the nonattainment area in its entirety. Using such a large jurisdictional boundary � a township equals 36 square miles (92 square kilometers) or 23,040 acres (9,324 hectares) � rather than the elevation contour, has a real and tangible effect on the Uintah Basin�s development, including Enefit�s Utah Project, with no added benefits in ozone reduction in the areas where the real issue exists. While Enefit fully supports combatting ground-level ozone to improve conditions for public health and the environment, we believe this expansion of the ozone nonattainment area is unnecessary and counterproductive to the state�s goals of creating jobs and economic development in rural Utah. Like Enefit�s home country of Estonia, Jordan�s only significant domestic energy resource is oil shale, and Jordan hopes to eventually replicate Estonia�s achievement of energy independence with the $2 billion power station scheduled for completion by mid-2020. Dumping overburden material during construction of Enefit-affiliated oil shale mine and power plant in Jordan. 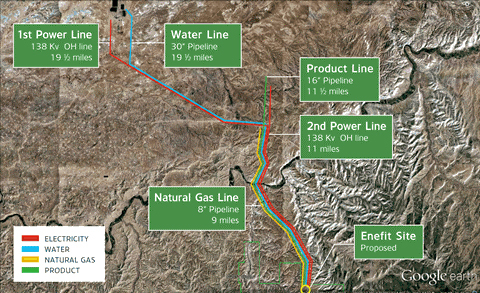 A liquid fuels plant, similar to Enefit�s proposed Utah Project, is also in preliminary stages of development. A site near Enefit�s property near Evacuation Creek was selected because of sedimentary rock formations left by ancient lakes that contain fossils of ancient microorganisms. Sites on Mars may share similarities to this remote part of the Utah landscape, making it perfect for conducting tests about how a remotely controlled landing vehicle, or rover, will look for and collect Martian rock samples. Led by principal investigator R. Aileen Yingst of the Planetary Science Institute, the work is part of the GeoHeuristic Operational Strategies Tests � GHOST � which has conducted similar tests at other sites on Earth and the Moon. Partnering with Michael Vanden Berg and Tom Chidsey from the Utah Geological Survey, the science team tested rover operations protocols to determine best practices for a planned 2020 mission to Mars to collect samples and bring them back to Earth. The team tested two scenarios. In the first scenario, the rover continually moves forward to seek samples and doesn�t backtrack � the method typically used on Mars by the two NASA Mars Exploration Rovers and the Mars Science Laboratory. The second method, called a �walkabout-first� scenario, sends the rover over the same ground at least twice, first to gain context of the overall area and then again to do more in-depth science in sub-locations that appear promising. To conduct their tests, the rover science teams arrived at the field location without knowledge of the specific site geology. Data about the environment were collected by graduate students simulating the work of a rover. This information was provided to the science teams, who were charged with assessing the details about the geological contents of the environment. The team�s hypotheses were then compared with data collected from the site using common Earth-based geologic field methods.